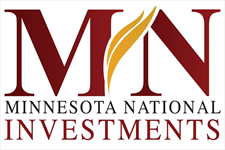 At Minnesota National Investments, our focus starts and ends with you, our client. We work hard to make sure you are selecting the correct investment choices that are suitable in each personal and unique situation. With our help, you never have to be alone in making these important investment decisions. Minnesota National Investments is committed to providing excellent service with “Minnesota Values”!